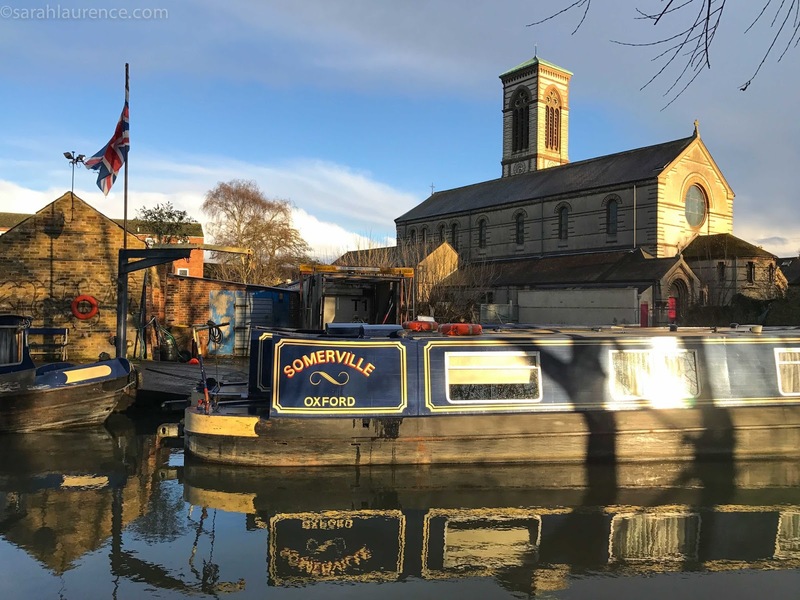 Canal boat in Oxford, England on a rare sunny day. 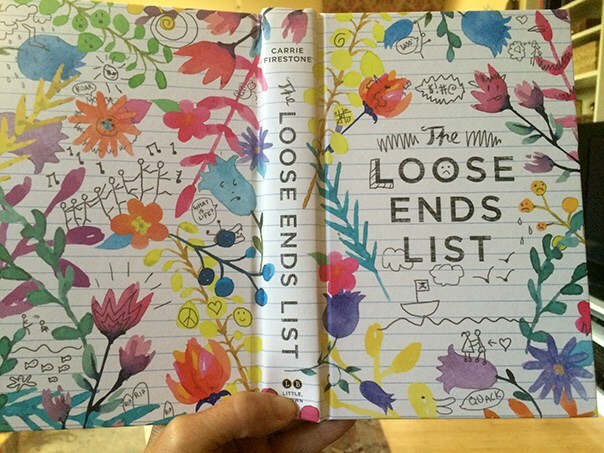 The Loose Ends List by Carrie Firestone was my favorite debut young adult novel from 2016. The premise was original and meaningful: a dying grandmother takes her family on a luxurious world cruise to say goodbye. Gallow humor, a comically dysfunctional family, and a sweet romance offset the sad realism of terminal cancer. Somehow this novel about dying with dignity was one of the most life-affirming, feel-good stories I've ever read. I was initially put off by the protagonist's crass language and her popular clique, but once the ship set sail (about fifty pages in), seventeen-year-old Maddie became a sympathetic character who struggles to support her beloved grandmother while dealing with her own fear of death. Widowed Gram surprises her WASPy family by inviting along the secret love of her life, a Jamaican American jazz musician. Despite the tragedy, it's a fun trip. The diverse family also includes a gay uncle and his husband, a Jewish father, a frustrated suburban mother, a broody artistic brother, a great aunt with dementia, and a Barbie doll cousin. The family members alternate realistically between irritating and endearing. All characters were well developed, including the other families on the cruise. I especially loved the close friendship Maddie develops with a young mother and her baby. Although the central relationship is between Maddie and her irreverent Gram (my favorite character), a fun romance offsets the grief. I appreciated how this novel tackled teen sexuality with a positive attitude, showing what a good relationship involves without sounding preachy. The love scenes felt believably real/awkward and avoided cliche. Best of all was how the novel explored terminal illness and death from a teen perspective without glossing over tragedy or becoming overly sentimental. 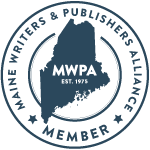 The book coins its own catch-phrase: "snowglobe moment." The around-the-world setting was entertaining. I won't reveal the secret itinerary since the journey has hidden meaning. The cultural details were well drawn and interesting, and despite the variety of settings, the narrative never felt choppy or superficial. 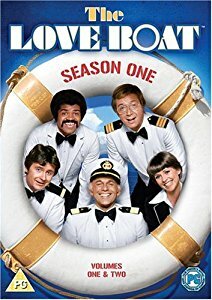 I'm guessing that the author is well-traveled and grew up watching The Love Boat and Fantasy Island. Since I'd never go on a cruise due to seasickness, I enjoyed this virtual vacation. The narrative also fit my year of sabbatical travel. "Don't cry. Don't cry. Don't cry. It's harder to hold back than a sneeze, but I do it." "'My life has been fabulous because I never listened to my parents.' My grandmother is peer-pressuring me." "But if this trip has taught me anything, it's that the only thing guaranteed is this very moment." Given the wide age range of characters, this YA novel would appeal to adults too, especially to families dealing with terminal illness. I read the ebook in Japan during the miserable month of November, and it was the best distraction. The story now helps me find the emotional strength to support my mother-in-law, who was diagnosed yesterday with terminal liver cancer after surviving breast cancer last year. For Hanukkah, I had bought the hardcover for my 19-year-old daughter, who is finding comfort in it too. Luckily her beloved granny is British and is therefore receiving excellent care from her Muslim oncologist and free medical insurance via the National Health Service. My children will be joining us in England next week. The granny-grandson Trans-Siberian Railway trip, planned to celebrate my son's graduation, is now only a dream. My mother-in-law will start chemo soon. We are grateful for this time together as a family. Photo from School Library Journal: http://tinyurl.com/hn9b4cb. 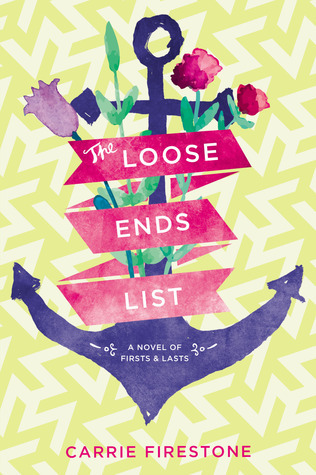 The Loose Ends List won a Best Undercover Award. The undercover was so gorgeous I couldn't resist buying another hard copy of The Loose Ends List for myself at home. I'm sure to reference the book for inspiration while writing my own YA novels set abroad. 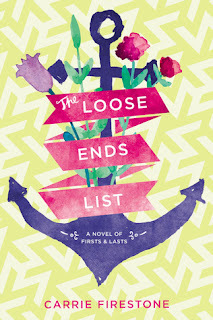 I'd strongly recommend The Loose Ends List to readers ages 14 and up. You might want to read at home since you'll be sobbing and laughing, often on the same page. I'm eagerly awaiting the author's sophomore novel, The Unlikelies, due out in June. Brava, Carrie! Included in my Best Contemporary YA Fiction of 2016 list. Reviewer's Disclaimer: the author and I share a literary agent. Sounds like a lot in this YA novel, with the whole diverse family going. Perhaps a welcomed distraction from the Gran's sad health news. Nice cover too. Very sorry to hear of your mother-in-law's diagnosis. That's very difficult. I lost my MIL to cancer a few years ago. We were supportive of her wishes ... and were there for her. Sometimes that's all you can do. This sounds great. Can't wait to read this. It's lovely that your family is able to gather in England to spend more time with your mother-in-law. My thoughts will be with you during this difficult time. It sounds quite interesting and realistic. You know a lot of crass language is a part of life today so very realistic! Hope you are doing well in snowy Maine! Oh my! "Life affirming, living in the moment" is good having lost a son to bi-polar and my spouse now with dementia. It's the only way to cope. Still having entered the "golden years" with many friends already lost to cancer etc. humor or not...I dunno. I will definitely read this book. And I think it will appeal to my 16 y.o. daughter. She's drawn to books with emotion. I'm so sorry about your mother-in-law. I'm glad you'll all be together in England. Thinking of you. xo And thank you for reviewing. Thanks for such a great find. This is the kind of book missing from my shelves, and my daughters' lives. *Sigh* I still don't understand why my identity never shows up. I had to sign in to post my comment!! At the risk of commenting too many times, I'll add that I'll be thinking of you and your MIL. Enjoy your family time. This sounds really good. Thanks for the great review. Cue, I’m sorry for your loss. Your words helped, thank you! Stacy W, I’d love to hear your reaction to the Loose Ends List. Thanks! Tina, the voice was indeed true to teens now. We’re still in England on sabbatical so no snow. Troutbirder, I’m sorry that you have illness and loss in your life too. Thanks for reminding me to check on my last post’s comments. I’ve been distracted by her illness and our country’s troubling politics. Barrie, I think you and your daughter would love this book. Thanks for hosting and for listening when I needed to vent about all the stress. 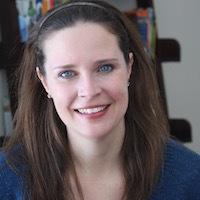 Stacy N, you’ll appreciate the writing and it’s a nice book to share with daughters. Not so Unknown Alyssa, thanks for persevering! You’d like the irreverent humor, and despite the heavy theme, the style is light and easy. Your comment made me realize that I do often review darker and heavier books, although I read a broad range. My writing style is also lighter. I’m better at making people laugh than cry. There’s enough tragedy in my life already. Thanks for your kind words. Oh my gosh I LOVE that cover! What an honourable review. Well done. I am judging a book by its cover and I love it! On my "want to read" list. Thanks, Sarah! I'm sorry to hear the news about your mother-in-law. How fortunate that you and your husband can be out there with her during this time. I love the cover of that book! It looks (and sounds) like a good read. Cynthia, that undercover was my favorite ever. ACiL, yes, you'd find this book hilarious. Charlotte, I can't wait to compare notes on this book when I return home. You're welcome to borrow my copy. Jackie could let you into my house. It's in the YA section to the left of the window seat. Donna, thanks for your kind words. She's now too weak for chemo but not in pain. We're trying to get her home for her last days/weeks. This book is as good as the cover.